…and as it’s indie, I’m obligated to use only the word “film” in this post in reference to its content. If the selection on Netflix and its ilk is a bit too mainstream for you or you don’t like your content rubbing up against Tyler Perry movies, a new service called Prescreen might be of interest. To stream films using Prescreen to your iMac so you can watch them at home while sipping a an acai berry and artisanal bacon smoothie, you’ll have to pay a premium- $8 a go. For your money, a more diverse selection of films will be available on Prescreen, but the content pool will be smaller than that of mainstream movies, obviously. And while the price tag is a bit high for many streaming customers, renting a film on the day its released will cut the price by 50% and titles will drop in price as they age in Prescreen’s archive. Films will be viewable for 48 hours after rental, and the site integrates social media so you can share your refined taste in cinema with all your Facebook and Twitter friends. In addition to a strategy founder Shawn Bercuson believes is “disruptive” enough to stick, Prescreen will allow for submissions to give indie filmmakers a platform lacking on fellow streaming sites Netflix and Vudu. 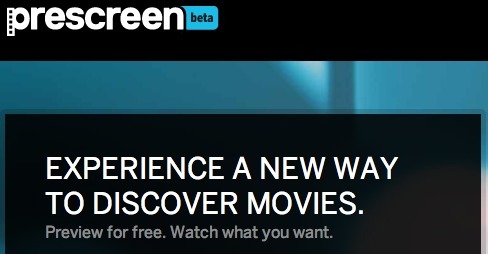 Although the service is incredibly new, it seems Bercuson could be on to something- if you’d like to see a more diverse and carefully curated collection of films to stream (read: you’ve been offered Zombie Strippers too many times), you can sign up on Prescreen or connect on the site with Facebook.